I’ve been making this recipe a good many years now. As a bread recipe it makes two delicious loaves of soft Potato Bread. I decided today to make it into rolls to use for sandwiches. With the first summer holiday coming up I wanted to make sure I had enough rolls in the freezer. 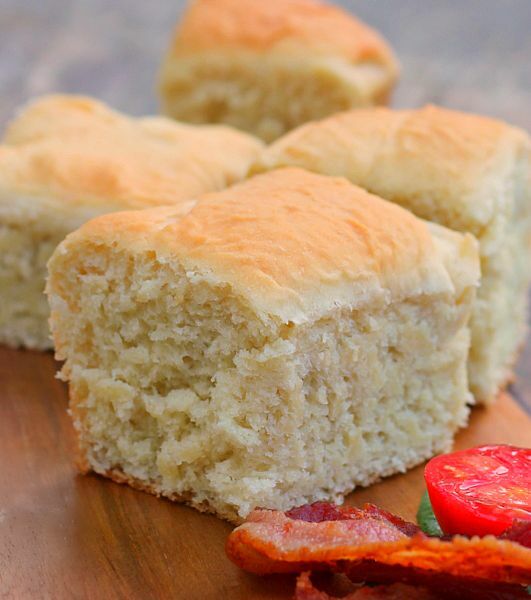 Since this recipe makes two loaves of bread you have plenty of options with it. I’ve made the recipe and used it to make one loaf of bread and used the other half of the dough to make yeast donuts or cinnamon rolls. The bread is extremely soft thanks to the real mashed potatoes and potato water in it. When you make this delicious bread make sure you use a stand mixer, a portable hand mixer isn’t going to be able to handle mixing the dough properly. 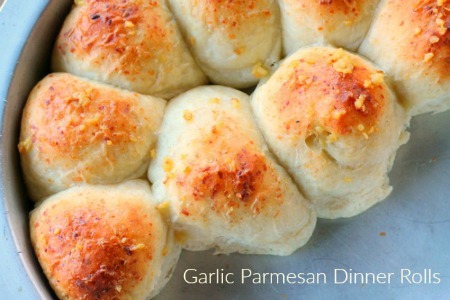 This recipe is so good that it never makes it to cooling down. We always ate it after it was just cool enough to slice and slather with butter . 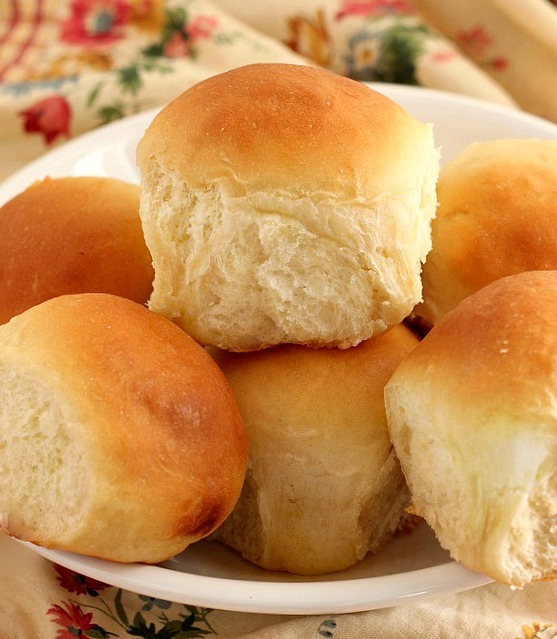 I used the whole recipe to make rolls with today. I was able to get 21 nice size sandwich rolls from the batch. I used about 1/3 of a cup of dough ( give or take ) for each roll. Your yield will be more than mine if you make them smaller. 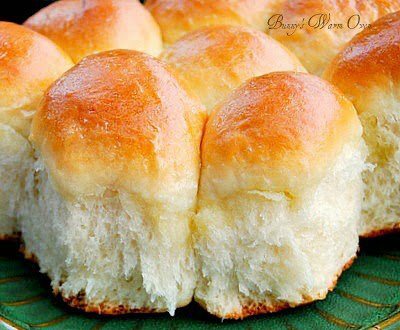 Potato Rolls or Bread Recipe, you’re going to love it, Enjoy! Boil potatoes until tender. Mash them into mashed potatoes. Add the 1 cup of reserved potato water and the mashed potatoes to a large bowl, mix until well combined. Set aside to cool. Add yeast to a small bowl with 1 tsp sugar and add the warm water. Let it sit until it foams up. Add the sugar, melted butter, and the salt to the mashed potatoes. Stir. When the potato water mixture is cool, mix in the yeast. Add the eggs and milk, mix until well combine. Using a stand mixer on low, add the flour one cup at a time to the potato mixture until you have a a soft slightly tacky dough. Place the dough on a floured surface and knead it about 10 minutes. 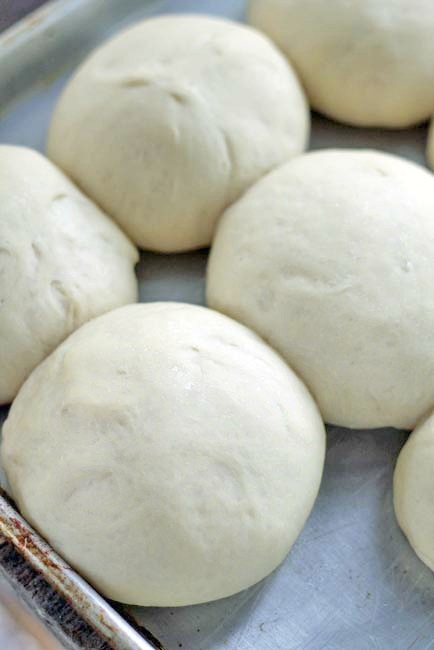 Dough should be smooth and elastic. Coat an extra large bowl with oil, place the dough in the bowl and turn to coat. 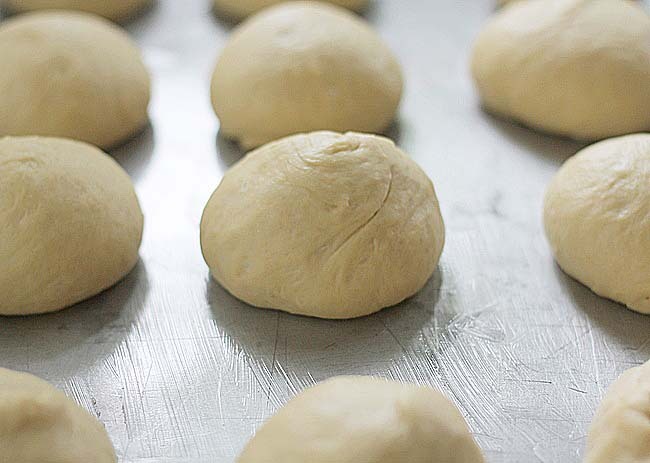 Let dough rise in a warm place until doubled, covered. Punch the dough down and knead a few minutes then divide the dough into 2 loaves. 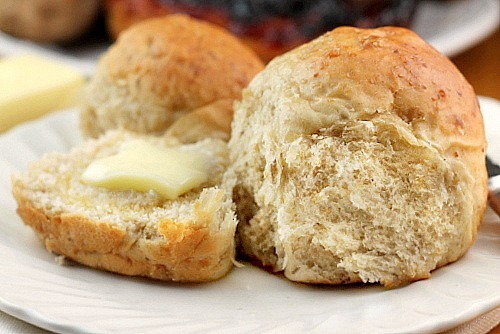 ( If making rolls divide the dough into the size rolls you want. If making bread...place the dough in greased bread pans and let rise until doubled in size, bake at 375 degrees for 30 to 40 minutes. 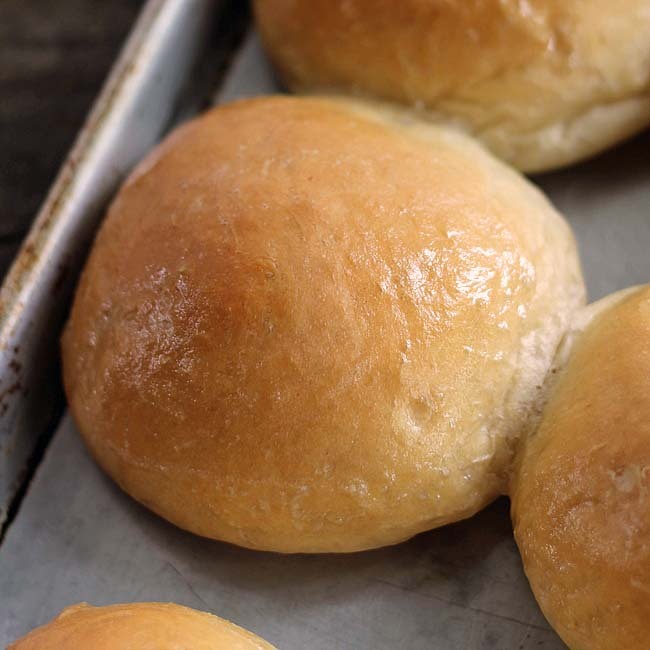 If making rolls, place the rolls on a greased cookie sheet about 2 inches apart. Let rise until doubled, bake at 375 degrees about 20 - 25 minutes or until golden brown on top. 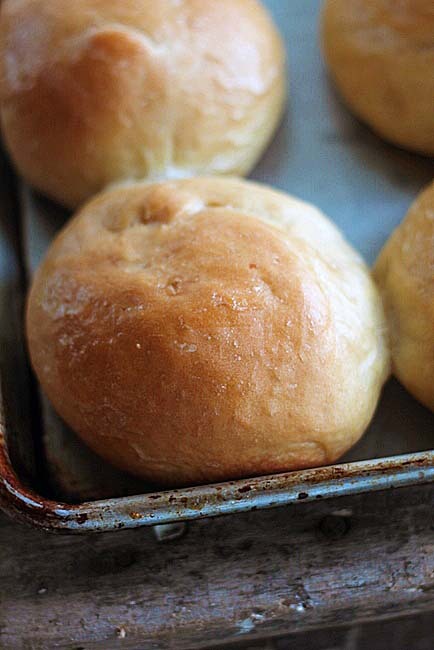 Brush the tops of the bread or rolls from the oven with butter, cool completely (yeah right)! 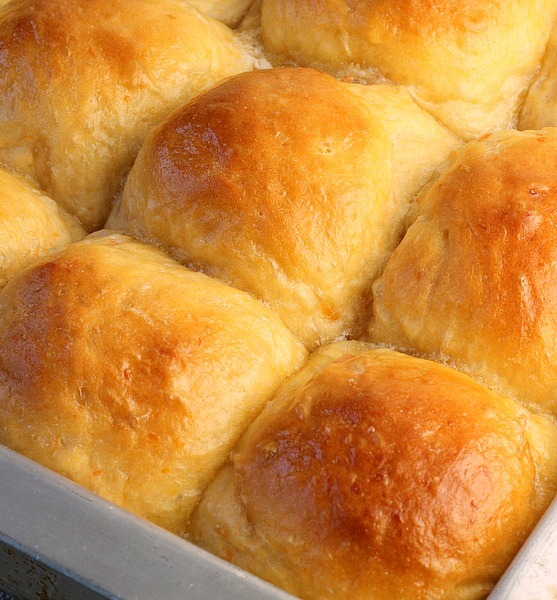 I have been looking for this recipe for a long time for the Mashed Potato Bread and will be trying it. Can you please tell me what kind of flour do you use is it regular flour or bread flour and also if this recipe is divided in half can it be made in a bread oven. Patricia Rebuck I have always used regular flour. You’re going to love this bread! Hi! I was wondering, at what stage can you freeze the dough for later use?